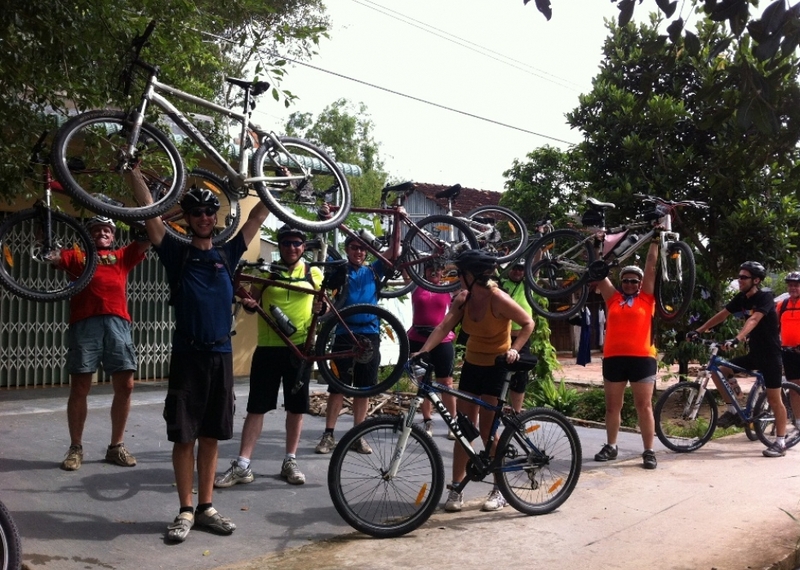 Highlight: This Vietnam cycling tour starts from Hanoi and end in Hoi An, from the capital of Vietnam. 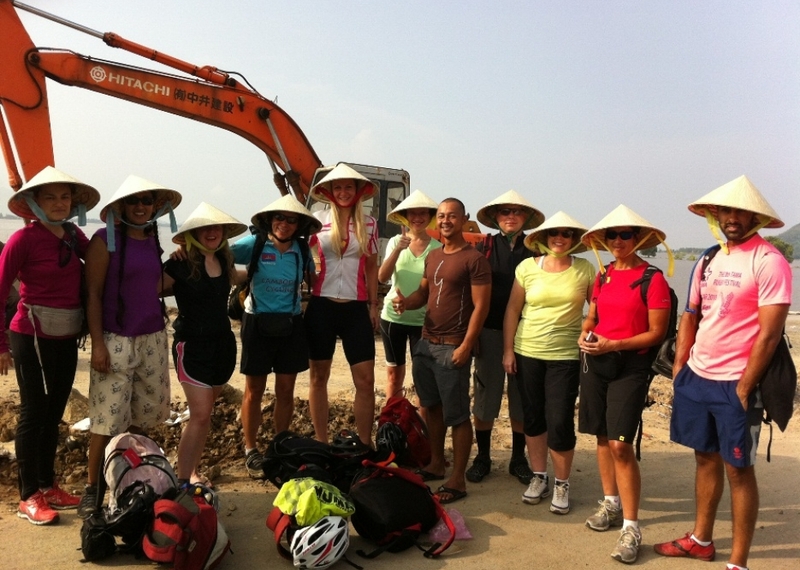 Down to the sea, ride along the magnificent coastlines along the S shaped of Vietnam, up in the mountain of the Central Highland to DMZ and deeper inland to the border with Laosand pedal southward to the incredible sights of UNESCO Heritages .This trips is a great combination of adventure on bike to challenge those with great passion on two wheels and discover the variety of natural scenes, local ethnic cultures, history of the vietnam war and of course the ultimate relax moments at the beaches of Vietnam where hosts over 3,000 of km coastlines and it was very informative and interesting tour.Not a rush program and this is definitely a trip to discover & have yourselves a bit of challenge on the road. Have a great fun.. 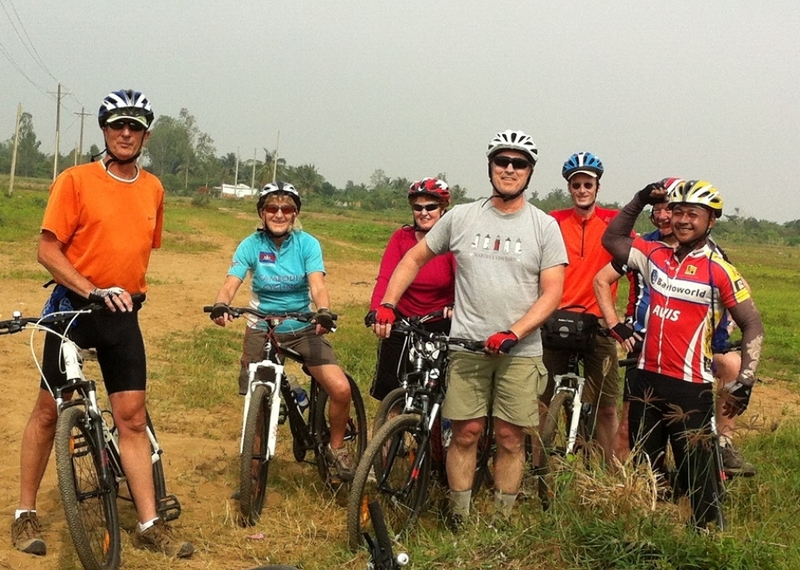 Transfer ahead to Mai Chau before taking a ride on an old supply route of the Ho Chi Minh Trail, along a spectacular and undulating river valley towards Hoi Xuan and Pu Luong. Overnight in Pu Luong Nature Reserve homestay. 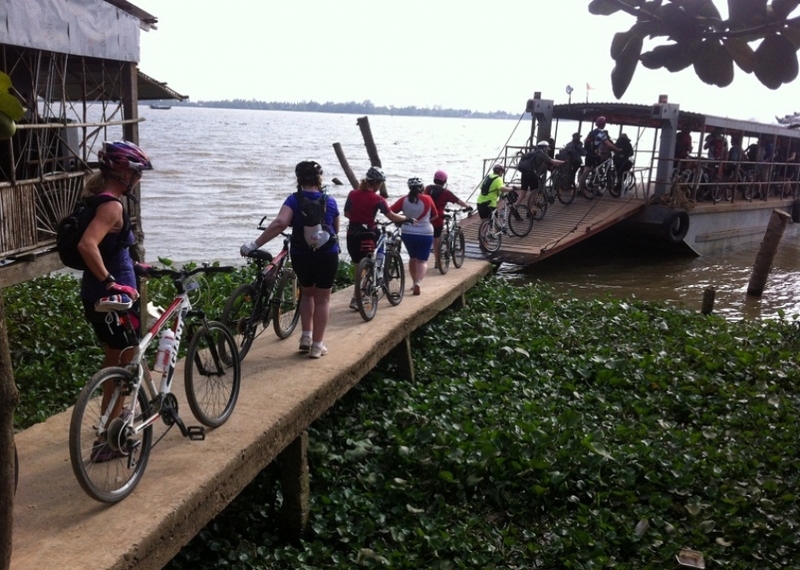 After breakfast,Leave Pu Luong behind and ride on a more undulating terrain route, with tarmac all the way to Ngoc Lac. 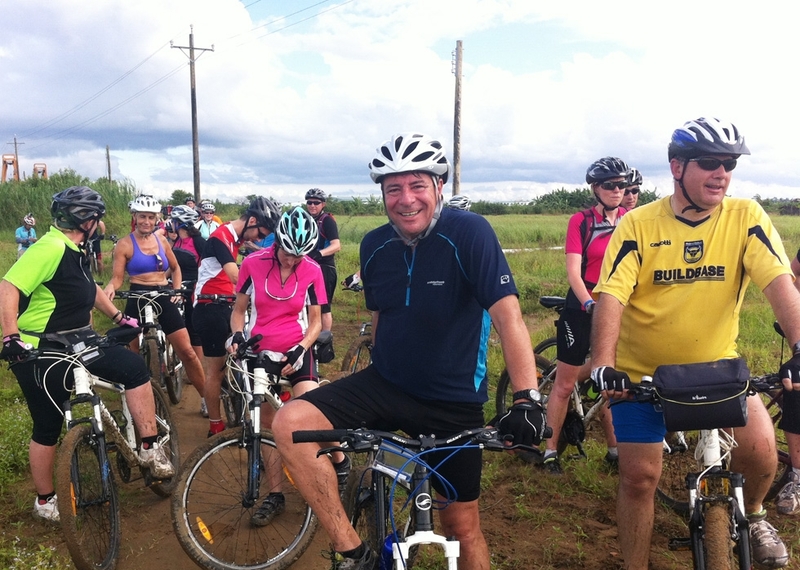 Such a beautiful day to cycle along the rice paddies through small village and learn more about the living life of the villages. Overnight in Ngoc Lac. 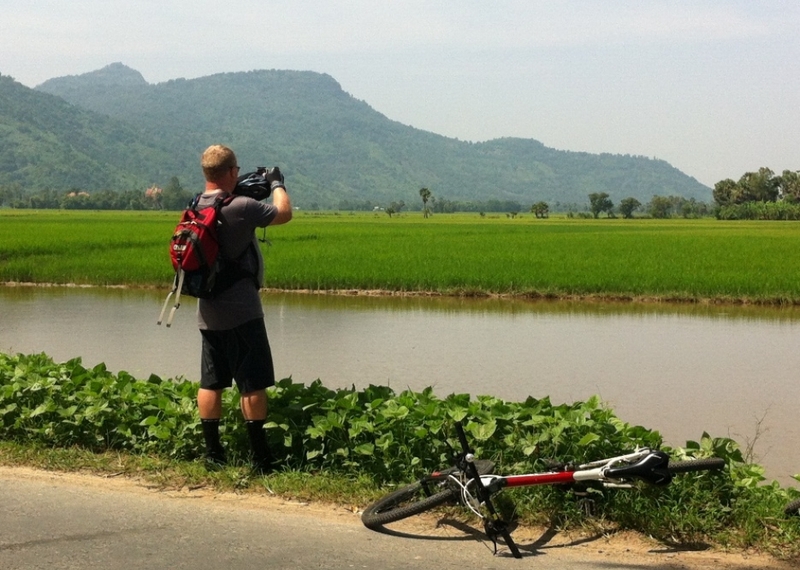 Ride from Huong Khe to Phong Nha, on the tranquil Ho Chi Minh Trail, along the stunning view with mountains rising, the rice and diversity of crop along the hillsides . especially you will have chance to see a lot of water buffalo along the road .Overnight in Phong Nha. Ride through spectacular scenery to Khe Sanh combat base and heading to Aluoi along the traffice free but it more undulating terrain of the southern part of the Ho Chi Minh Trail -we come to DAKRONG bridge ,famous for being the “start” of the trail;it was destroys many times but always re-built.despite heavily bombing this area,the supply rout never cut off and saw some firece fighting in the late 1960s.Probaly the most famous is the battle of HAMBURGER hill (1969) which saw many casualties on both sides for an outpost which was controversially abandoned by the victorious US soon after.we visit the site and pay our respects.now riding down to the south,roughly parrallel to the boder,we cycle through stunningly beautiful countryside.this area heavily napalmed durring the war- an estimate 69 tons of napalm were dropped durring the battle of HAMBURGER hill alone-and it’s astounding how well nature has recovered.the road we take was part of the HO CHI MINH trail this were not one contiuous road,but an extensive network of paths.. Reach Aluoi , where we going to stay for the night. 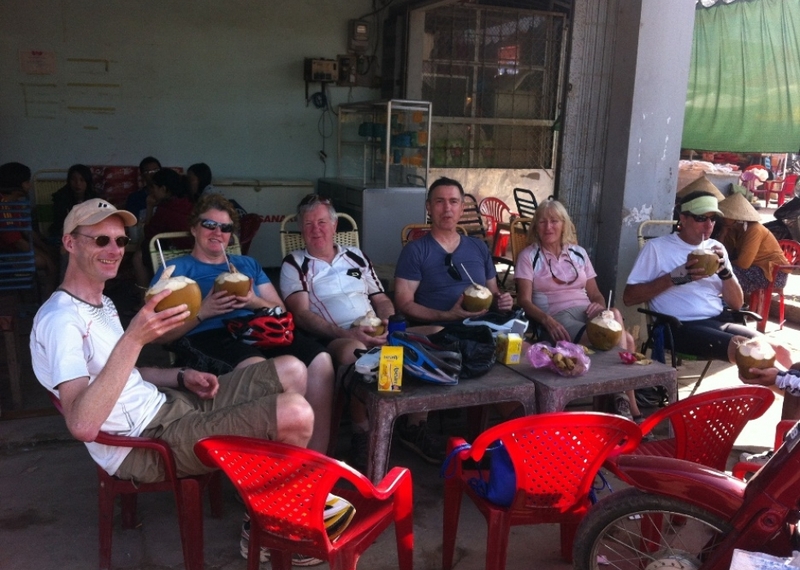 After the breakfast at the hotel ,we head to the coastline along the rural countryside.Vietnam is very long,thin country,and we traverse it today from boder with Laos all the way to Coastline in Hue city,and then ride south.it along day ,so we drive the last busy section into Hue.this is an area of beatiful dense jungle hill,and its easy to imagine how supplies coming via HO CHI MINH trail travelled undetectec.this area-around the A Shau valley .Overnight in Hue city. Morning, we take the boat trip on the perfume river to Thien Mu Pagoda, one of the oldest ancient architectural structures for religious worship in Hue. 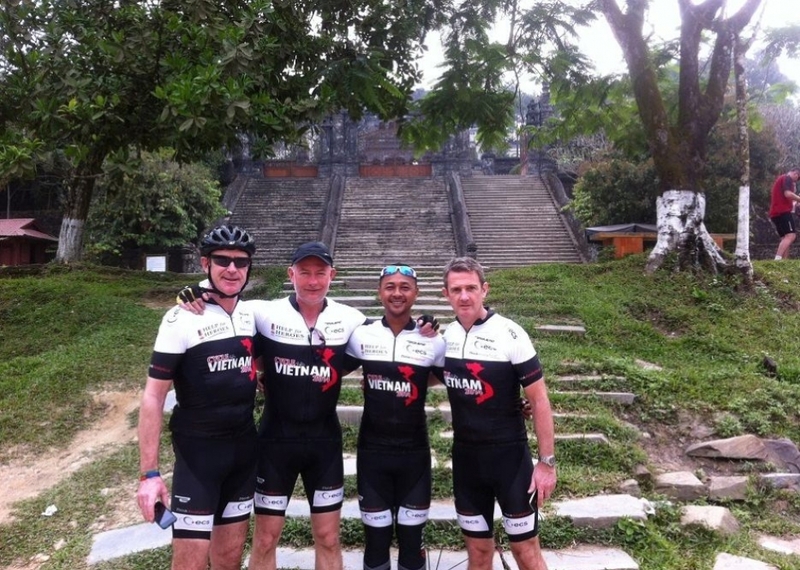 the bike will be ready for us and cycle trip will be starting from there to the Imperial Citadel a long the village where the people making the incense and Khai Dinh royal tomb then transfer back to Hue for Overnight in Hue. 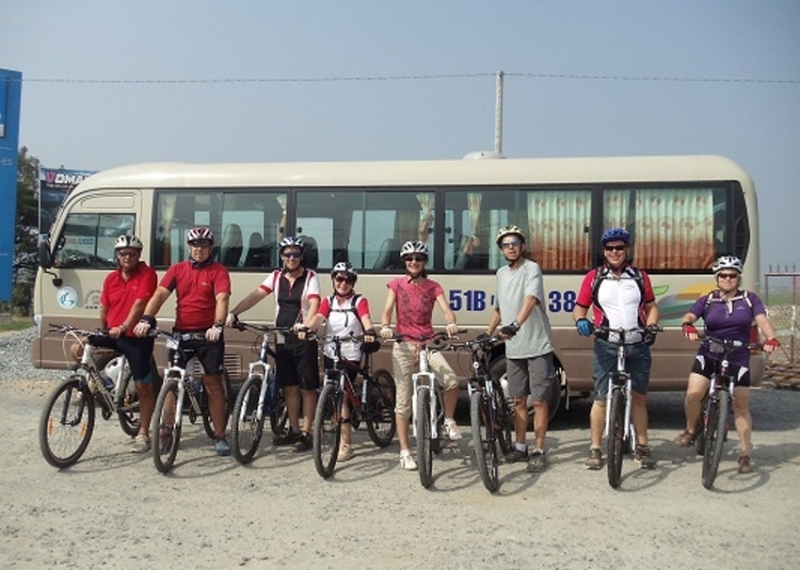 the day will start with a short transfer in the busy section of Hue to where we going to cycle and today's ride quite easy if we compare with some previous day.along the coastline to south through the fishing village . you will have a chance to catch up with some farmer sowing the seed into the farm.and the hardest part of the day is climbing uphill to the Hai Van Pass (pass of the mountain clouds), so we will stop for luch and take a nap before take a epic ride up to the top and down to Danang jump on the van and transfer to Hoi An. Overnight in Hoi An.